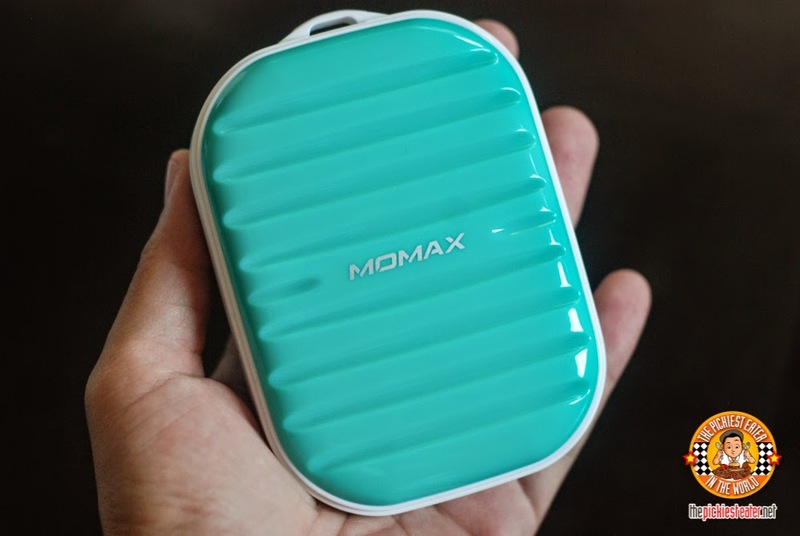 When we first got the Momax iPower GO mini external battery pack, I thought it looked so cute with its sleek and chic ribbed appearance. But I was wondering if it were defective because every time I would pick up the unopened box . the battery indicator lights would light up. I thought a button was accidentally being pressed inside the box. Turns out, it has a SHAKE-TO-SHOW feature which shows the battery level every time you shake it. 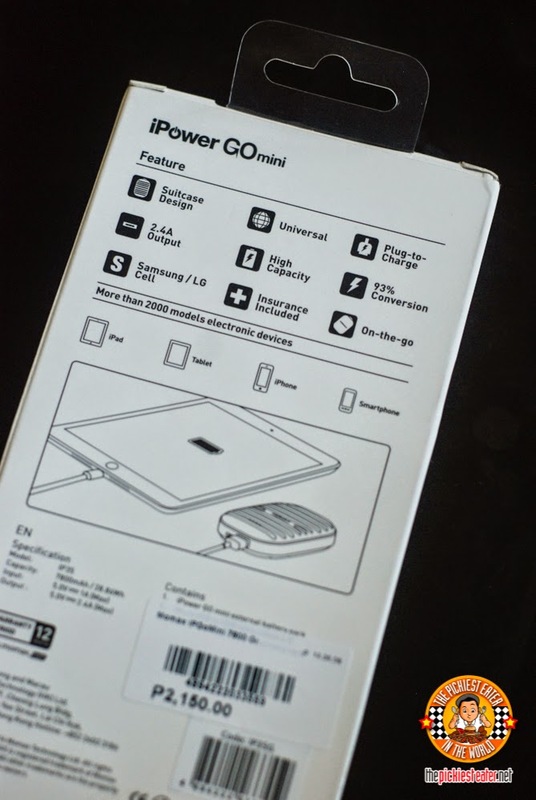 The box contains the powerbank, a USB cord for charging, and user manuals. 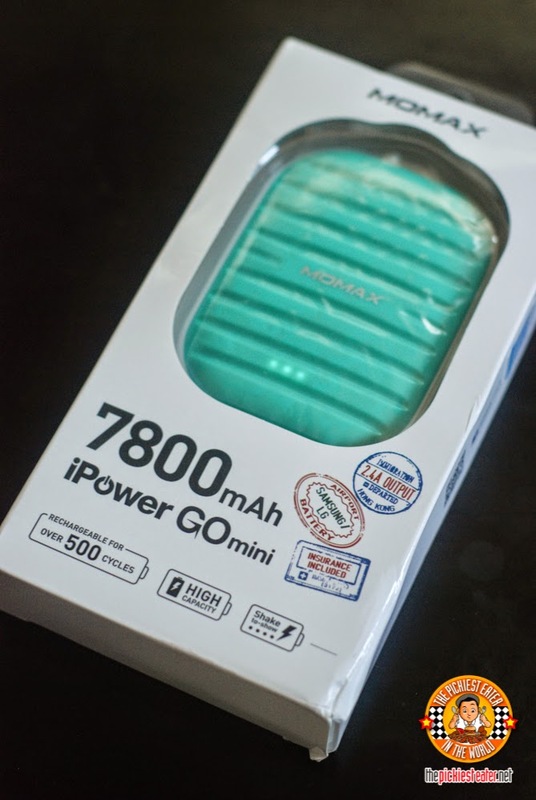 The Momax iPower Go Mini has a good size, not at all heavy, and fits the palm of my hand, yet surprisingly it packs 7800mAh. 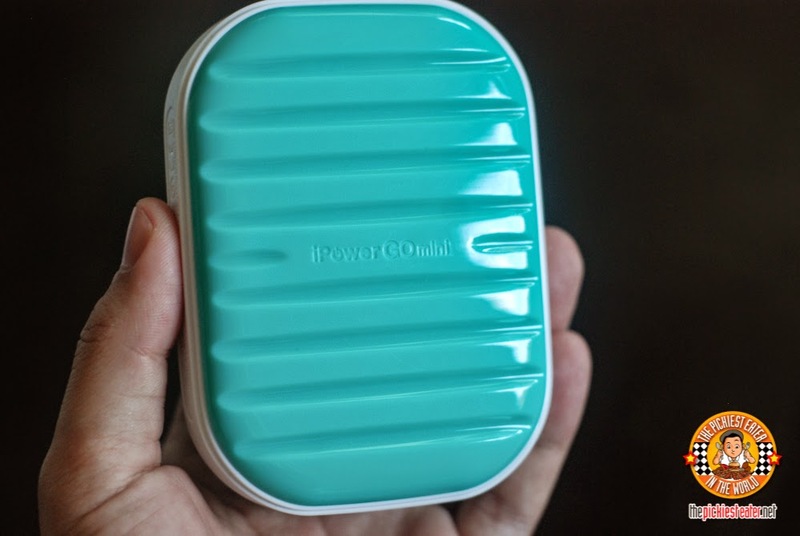 I had a huge generic powerbank before that was only 6,600 mAh but it was bigger and a lot heavier than this one. So it was more hassle to carry it around. The battery cells are by Samsung/LG. This means that you won't have to worry about safety and and reliability. No need to be scared about those horror stories you hear when the powerbanks explode because of overcharging / over-discharging / short-circuit. All of those issues are out the window because it has the technology to prevent those things from happening. 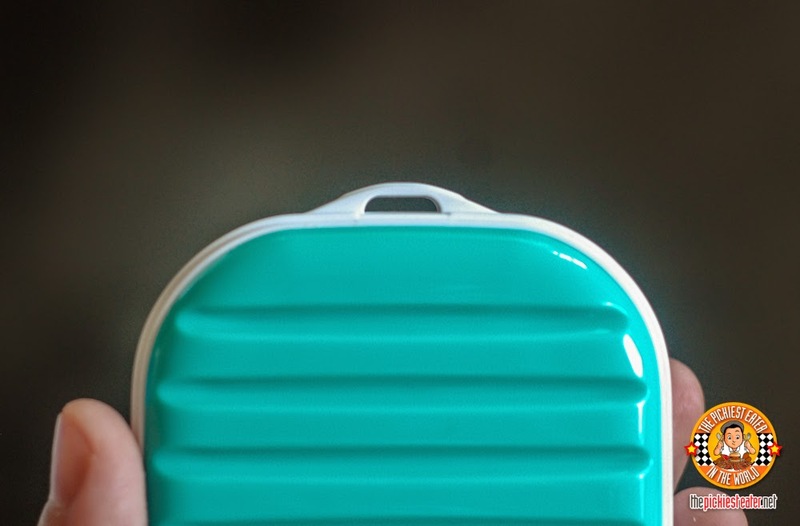 Another convenient feature on the design is the "Suitcase Rod" hole. 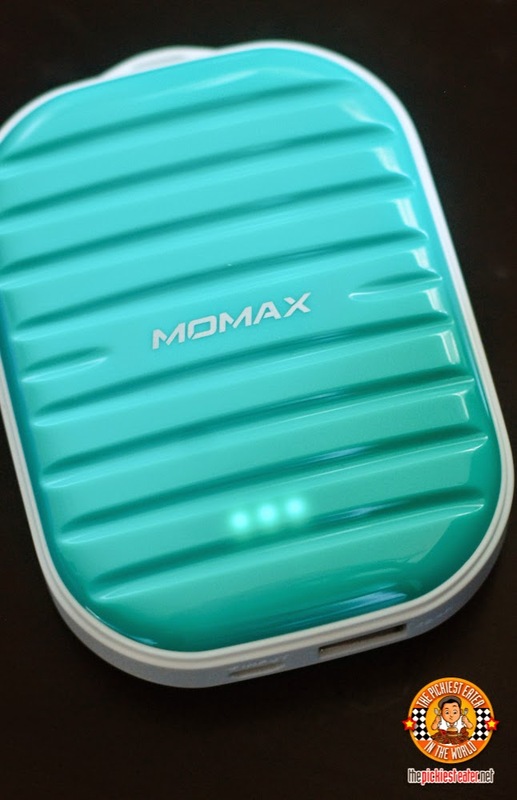 I thought this was for attaching keychains and stuff (hahaha) but this is actually added so you can attach a MOMAX GO-Link USB cable. 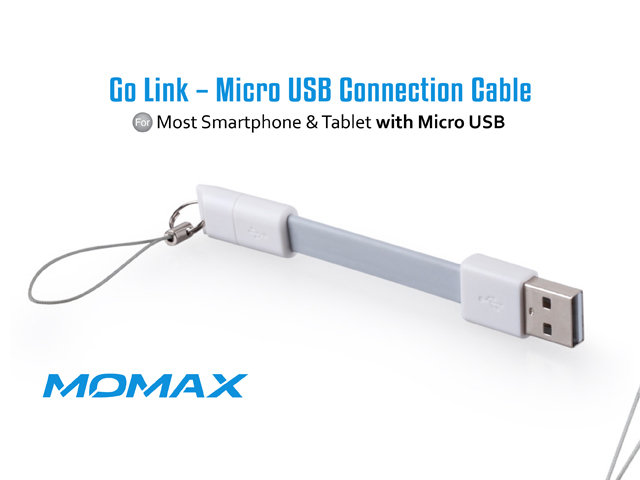 The Go-link USB cable is another smart product from Momax. 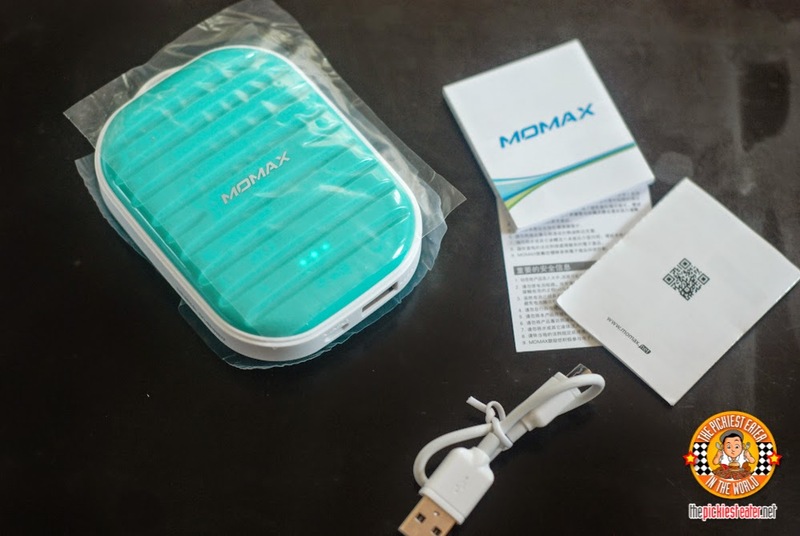 It's a USB cable that you can loop with your MOMAX powerbank so it doesn't get lost easily. Although missing cables so far has not been a problem with me because I always store my powerbanks with their cables in a small pouch. 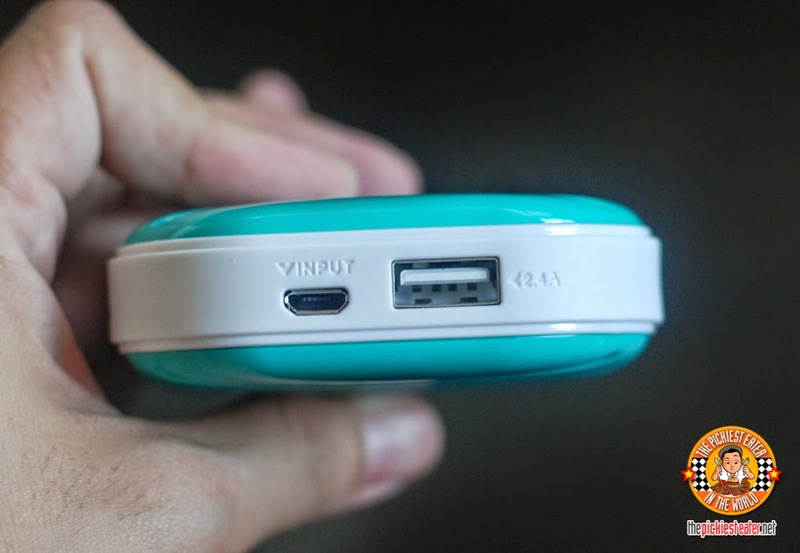 I also like the fact that the iPower Go mini does not have any buttons or anything to switch it on. All you need to do is plug in your device and it will automatically power up. And it automatically shuts down in 30 seconds whenever it doesn't detect any connected device.